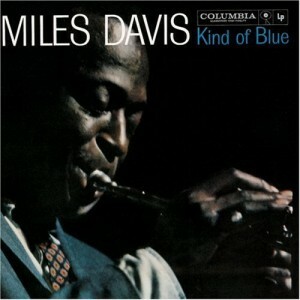 Miles Davis played an amazing solo on ‘So What’ from the Kind of Blue album. Recorded in 1959. He doesn’t play a ton of notes. But he says a lot in the music. The space he uses in the solo is done very well. It’s a good one to learn by ear or transcribe, especially earlier on. Other solos can be a lot more intimidating. Thought I would set this up kind of like a game. In the entire first sixteen bars (first chorus), Miles Davis mostly sticks to a minor scale. There are two accidentals. Here are the notes for the first phrase, out of order and without the rhythm written. Figure out the order and play it with the right rhythm. You can get a better idea of the rhythm by looking at the diagram with the sound wave. 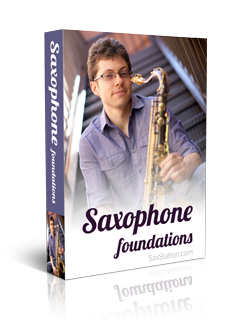 Play those three notes on your saxophone and then figure out the order and play them with the correct rhythm. Once you get it, click the Google+ button, facebook share, etc.